Suporting Municipality of Alcoutim efforts in specialisation in production, processing and commercialisation of OPUNTIA FICUS-INDICA Enercoutim initiated a project of planting and developing further this reagion significant cuture in attemt to biodiversify technical installations on the platform. We believe in fusion of renewable energy production technology projects with agriculture. 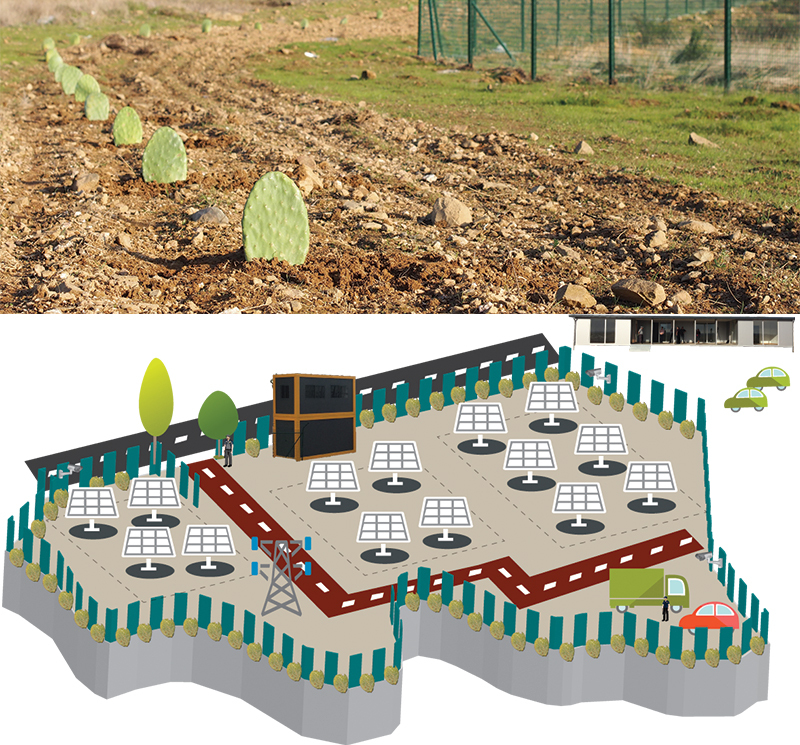 The planting OPUNTIA FICUS-INDICA in Alcoutim solar platform aims to promote sustainability and improve symbioses of nature and solar energy production, by improving the landscape. The plnats are delimiting the perimeter of the Platform, stretching approximately three and a haf kilometers. The culture of figs-of-India (“Opuntia ficus-indica”) is the family of cacti tat requier limited water supply and nutrient needs, while offering high production yield and a high nutritional value. One of the major purposes of this plant is to serve as a protective barrier fire which reduces combustion due to its high water content (90-95%), thus helping in the prevention and control of fire. Other advantages of the plant are: the protection of the installation area of solar panels from dirt and animal intrusion; soil conservation; fruit production. The planting is a research project as well looking at growth and development of three fruit varieties: red, orange and green types.